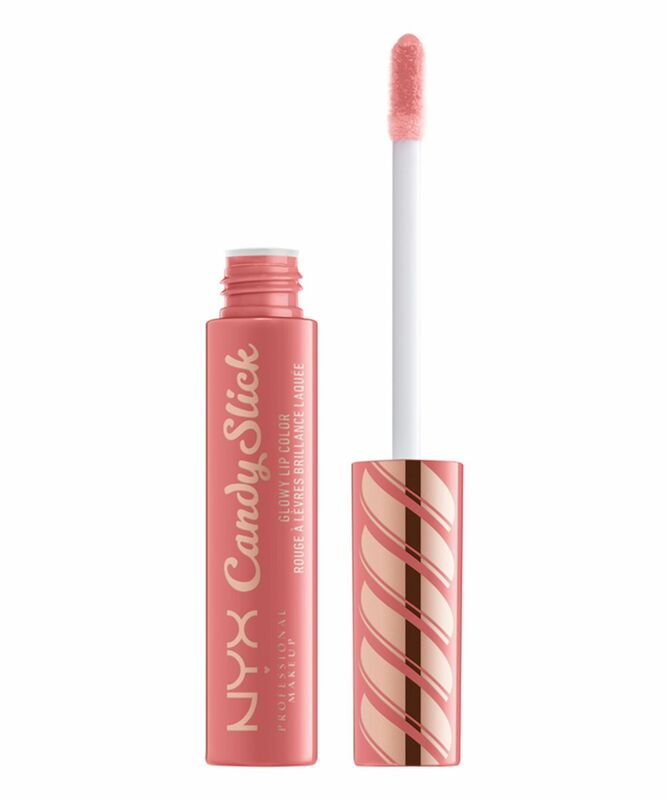 When it comes to immaculate lips, NYX Professional Makeup has got every type of product, texture and applicator covered for a knock out pout – case in point is this Candy Slick Glowy Lip Gloss. There are 12 juicy hues to choose from – from classic red to out-there turquoise – for a hit of saturated shine. Sweetly scented, these irresistible glosses cover your lips in richly pigmented colour, delivering a radiant finish that doesn’t dry lips and delivers a luscious look. 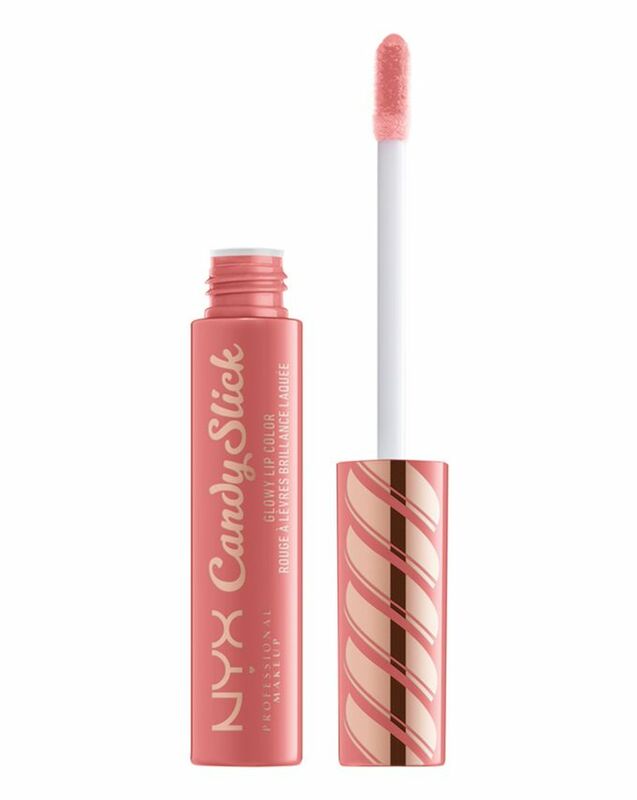 For a slick of something gorgeously glowing on your lips, look no further than NYX Professional Makeup’s Candy Slick Glowy Lip Gloss. For a hypnotic high-shine finish, this sweetly scented gloss cloaks lips in fabulous full-coverage colour. The radiant finish doesn’t feel dry, delivering a luscious, glowing finish that lasts. There are 12 juicy hues to choose from, whether you opt for cherry red ‘Jawbreaker’, coral pink ‘Watermelon Taffy’ or rich burgundy ‘Cherry Cola’ – or something bolder, like mauve-plum ‘Grape Expectations’, aqua teal ‘Extra Mints’ or Barbie pink ‘Birthday Sprinkles’ – you’re guaranteed to love it. I own so many Nyx lip products and lip products in general also from many other brands and these are really unique. They feel like a really hydrating, not sticky at all, cooling (in a really gentle way, not like some plumping lip-glosses) lipstick-lip gloss-balm hybrid formula. I bought S'more please and Extramints. From online swatches I thought the blue shade will be really patchy and not opaque, but on my lips it's 90% opaque and looks really good so I don't know how they made those swatches. I think this shade works with the Suede lip liner in Little denim dress so it will be 100% opaque. I wish they had more nudes and crazy colours like green etc cause I don't like the rest of the shades. I hope they will make more! I really like it. Some lip glosses can be sticky when applied on lips but this one is not. It's not drying and it's quite nourishing. It's not as pigmented as it shows in the picture but it's also buildable. I still like it as it goes well with my natural lip colour so I can wear it daily. It's got a nice scent, not sickly sweet and gives you a nice natural shine. Terrible lipstick, lips bake. After a while, the lipstick will break out beyond the contour of the lips and absorbs into the skin. The worst lipstick in my life.